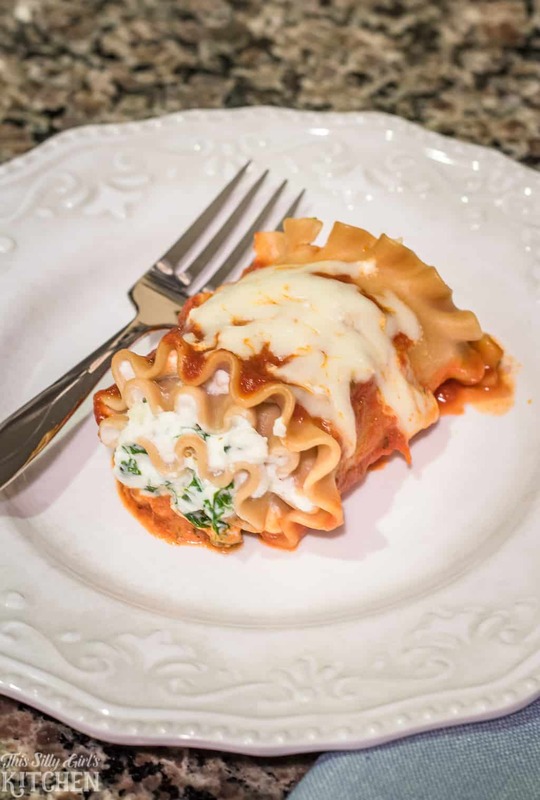 Lasagna Roll-Ups, little packages filled with ricotta cheese and sauteed kale, a lightened up recipe full of flavor! 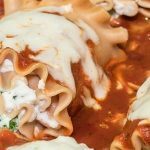 Skinny Lasagna Rolls are an easy, yet delicious and filling recipe perfect for those times when the calories count. I am going to give you some tips and tricks to keep a classic like lasagna, lightened up! I’m a quarter Italian (yes, I’m counting, and yes, it counts! ), so I grew up eating my fair share of Italian food. I love it, it is just like a warm and comforting hug every time we make a big pot of red sauce with lots of meatballs and Italian sausage. But, as you can guess, Italian food isn’t always the lightest on the calorie count. But, that’s okay, a splurge every once in a while never hurt anyone. 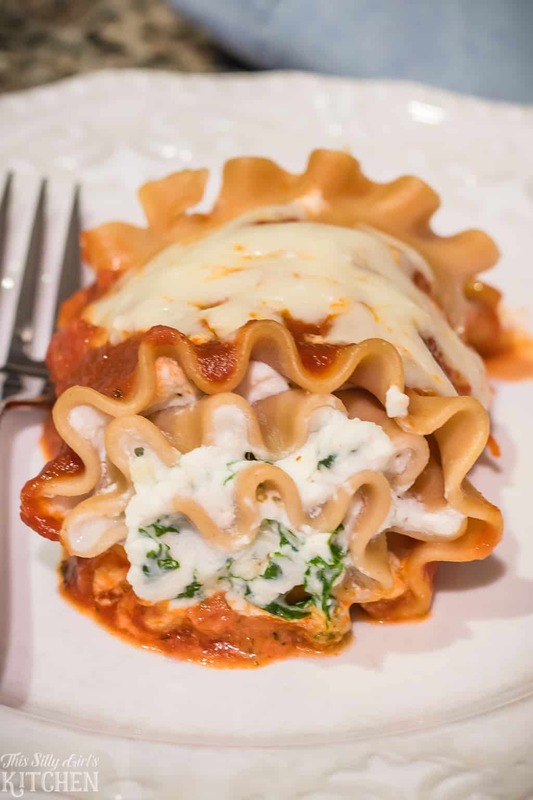 It is those in between times though when I am craving one of my favorite Italian dishes, lasagna, that I look to a lighter version like these lasagna rolls. What makes this recipe lighter than a regular lasagna? First, we are going to use whole wheat lasagna noodles. We are substituting full-fat cheeses for low-fat and we are adding sauteed kale in to help bulk the rolls so we feel more full, and get an added veggie bonus. One thing that ends up lacking when I make Italian food is veggies. Am I the only one? I know there are tons of tomatoes in marinara sauce but I feel weird serving a side of broccoli or another veg with spaghetti. Don’t like kale? No problem, use sauteed broccoli, spinach, or any veggie of your choice really. I recommend cooking any veggies first though, and get a slight char on them. This will really bring another level of flavor to the dish. Don’t want to cut calories? 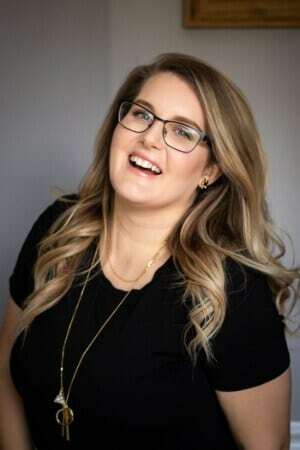 No problem, go for it and use regular lasagna noodles and full-fat everything, you won’t hurt my feelings! You can even brown some loose Italian sausage in a skillet and add that to the cheese mixture when filling the rolls, YUM! Cook lasagna noodles per directions on the back of the box. While the noodles are cooking, make the sauteed kale and cheese mixture, set aside. Warm tomato sauce of your choice. Preheat oven to 425 degrees. Drain lasagna noodles and run cold water over them to stop them from cooking more and so they are cool to the touch. Grease a 9×13 inch baking dish, layer some of the sauce on the bottom. 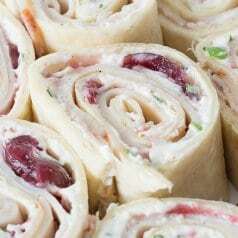 Spread the cheese filling evenly among the 5 rolls, roll them up and place them seam side down into the sauce. Continue rolling until they are all done. Ladle more sauce over each roll. 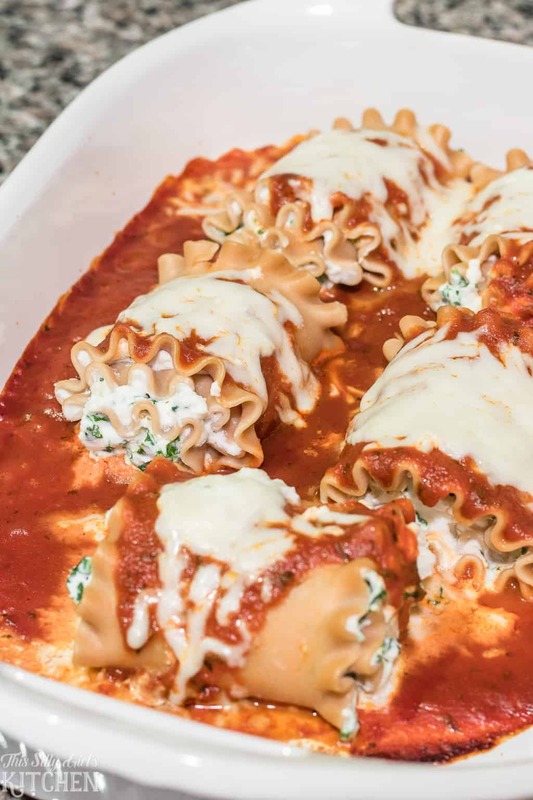 Cover with foil and bake for about 20 minutes until bubbly, add more mozzarella on top, place back in the oven uncovered for an additional 5 minutes to melt. Serve with more sauce if desired. A large heavy bottom pot for cooking the lasagna noodles. A small pot for warming the sauce. A saute pan for sauteeing the kale. 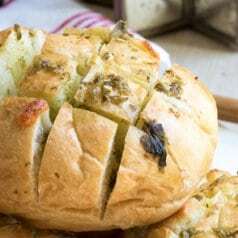 A baking dish to bake the rolls in. Foil to cover the dish. This recipe is adapted from SkinnyMs. Cook noodles per directions on the back of the box. Drain and run them under cold water to stop the cooking process and make them cool to the touch, set aside. While noodles are cooking, warm the sauce in a small pot over low heat. Place a medium-sized skillet over medium-low heat, add the oil, kale, and garlic. Sautee until kale is slightly wilted, about 5 minutes. Set aside and let cool. In a medium-sized bowl, add the ricotta, 1/2 cup of the mozzarella, the egg white, seasonings and 1/8 cup of the parmesan cheese. Mix until combined, fold in the kale. Preheat oven to 425 degrees. Grease a 9x13 inch baking dish, layer about 1 cup of the sauce on the bottom. Evenly smooth the cheese mixture over each noodle, dividing it evenly. Roll up into a little package, and place into the baking dish seam side down. Repeat with all the rolls. Top each roll with more sauce, cover with foil and bake for 20 minutes until bubbly. Uncover, top with remaining cheeses and bake 5 more minutes until melted. Serve with more sauce if desired. These sound delicious! 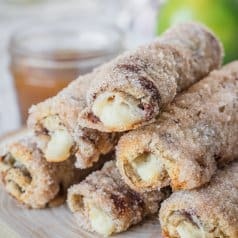 I love lasagna roll ups and haven’t made them in ages! Going to have to try your tips for the lightened up version – especially with the kale!